The Communi-K was a monthly newsletter published at the Community Medical Center. Usually there was information about different departments, new staff, and a few letters to the editor. The above image is a reference to one of the letters to the editor from an L.E. 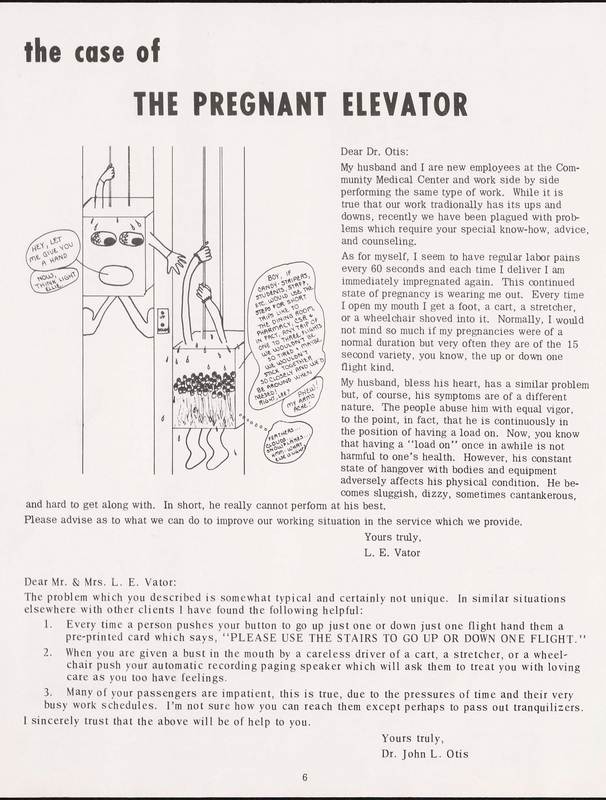 Vator with a reply from Dr. John L. Otis. This is a hilarious bit of writing about when it is more appropriate to use the stairs. 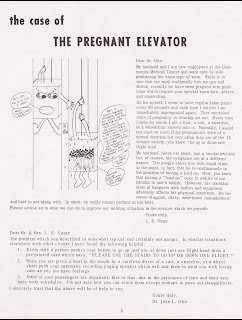 Please keep in mind that this was published in the August of 1969 newsletter. If you have trouble viewing this image please try this link for the Communi-K and find page 6. Enjoy! !